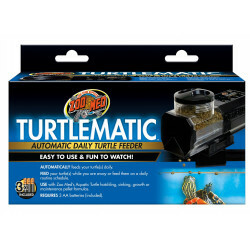 Aquatic turtles occupy a unique place in the pet world; as reptiles, they share the nutrition and lifestyle requirements of most land-dwelling tortoises and lizards, but as water-dwelling creatures, their day-to-day living is vastly different. 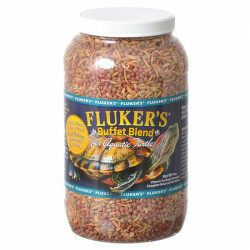 This translates into the way their food is supplied. 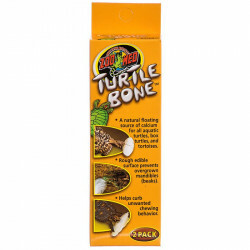 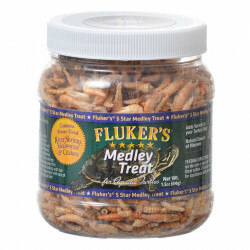 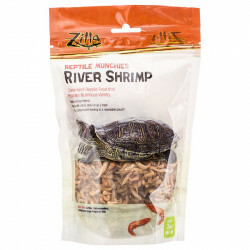 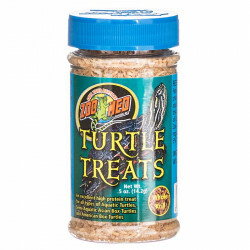 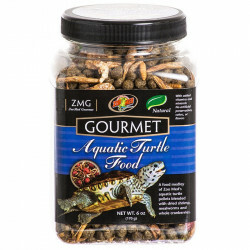 Aquatic turtle foods are more similar to common fish foods than most reptile meals, coming in stick and pellet forms that are easy for small turtles to snap up. 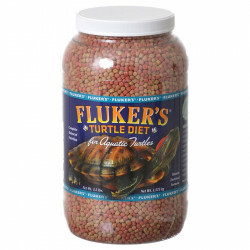 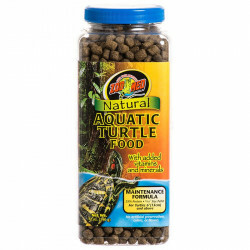 Natural, nutritionally fortified foods are the first step to making sure your pet turtle has a long and healthy life. 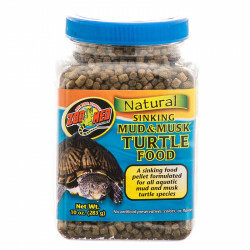 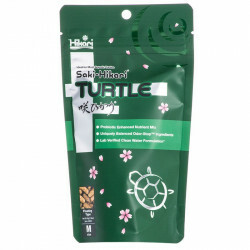 Pet Mountain's Aquatic Turtle Food store features top quality products from the most trusted names in pet reptile feeding and care, including Tetrafauna, Zoo Med, Hagen Nutrafin, Hikari, Wardley and more. 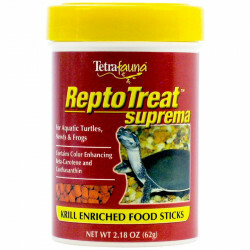 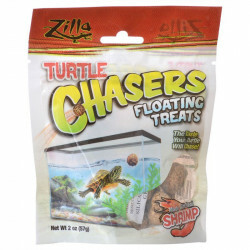 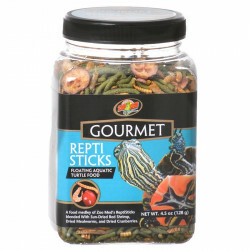 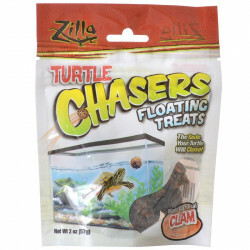 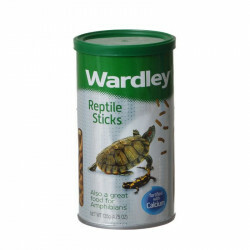 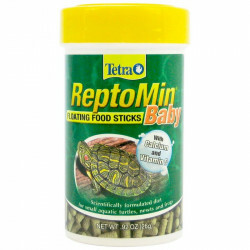 Tetrafauna ReptoMin Floating Food Sticks are a long-standing favorite among breeders and pet turtle enthusiasts alike. 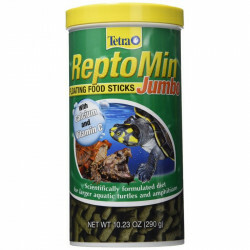 ReptoMin is a floating food stick for all water turtles, amphibians and other aquatic reptiles. 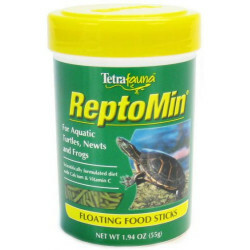 High in nutritional value and manufactured to strict quality standards, ReptoMin products have proven to be readily accepted by dozens of species. 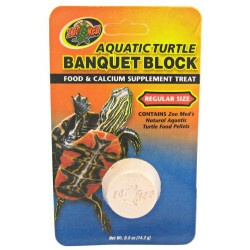 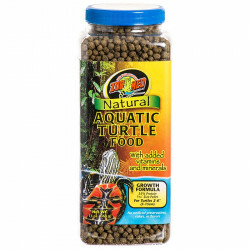 Zoo Med Natural Aquatic Turtle Food - Maintenance Formula meets the dietary requirements of growing and adult aquatic turtles. 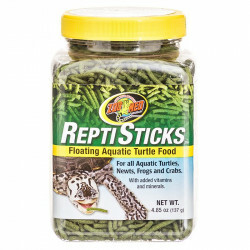 These pellets float, making it easier for aquatic turtles, who prefer eating at the water's surface, to locate their food. 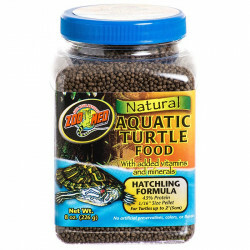 Hagen Nutrafin Max Turtle Pellets with Gammarus Shrimp are a complete food for turtles and many reptiles and amphibians. 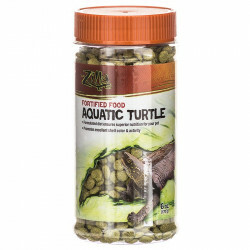 These tasty pellets are rich in calcium to prevent shell softening in turtles, and float to make it easy for adult turtle to locate their food.